Have you seen homes that left the beams exposed? 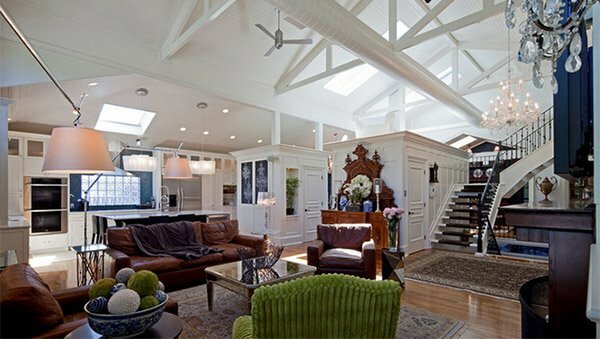 Well, usually, these beams are concealed behind ceiling works but there are designers and homeowners who prefer to leave them that way. Some would even add exposed beam touches to their ceiling in order to give their homes a bit of industrial and traditional touches. 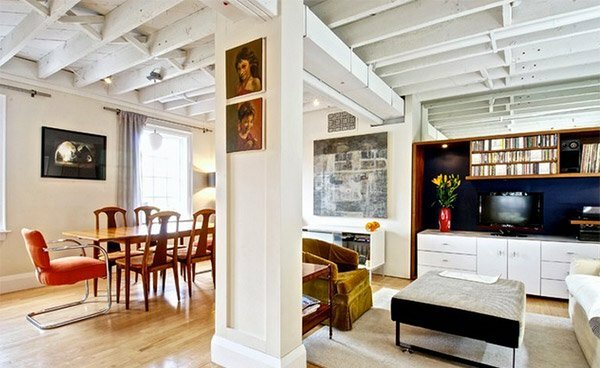 But homes these days, no matter what their themes are, look great with exposed beams. You will be able to see a variety of beam types below. 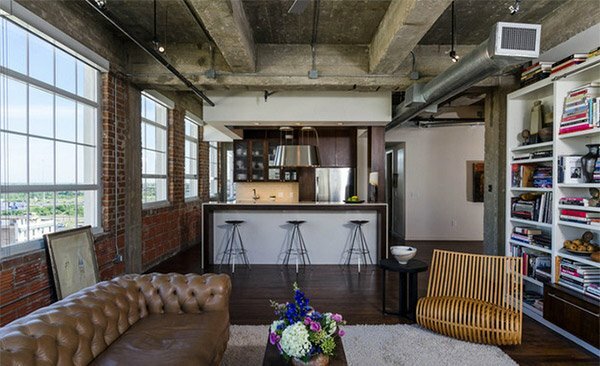 Each living area also has unique appeal as a result of the exposed beams. Try to observe how the designers worked on the interior of each home. We are certain you’ll be able to pick a personal favorite. 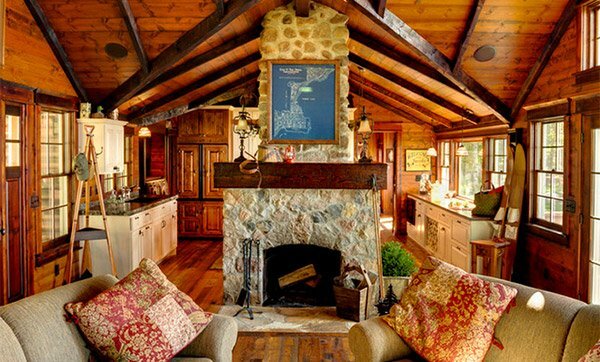 Scroll down and check on our collection of living rooms with exposed beams. An interior with high ceiling in white paint. The wooden texture of the beams were retained which made it stand out in this space. 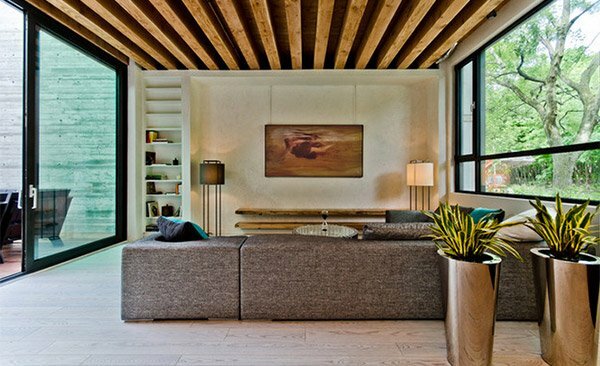 The lights hanging from the wooden beams add a romantic touch this this contemporary space with minimal furniture. 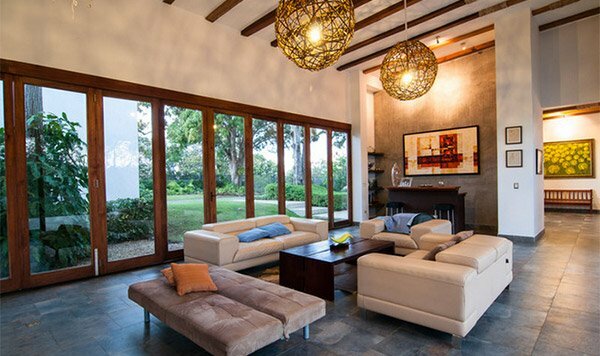 Stones and brown wooden beams worked together to complete the traditional and contemporary design of this interior. 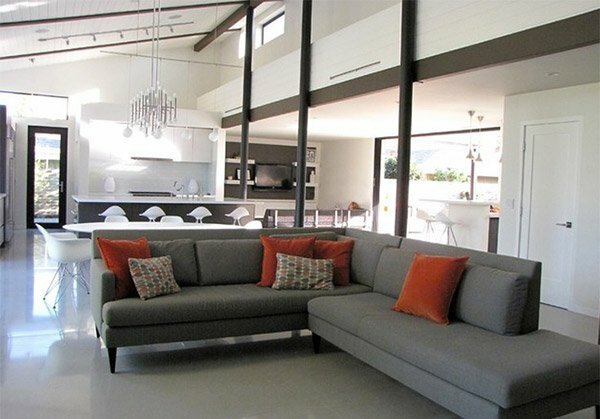 Gray equated to sophistication in this modern living room that used steel for its beams. 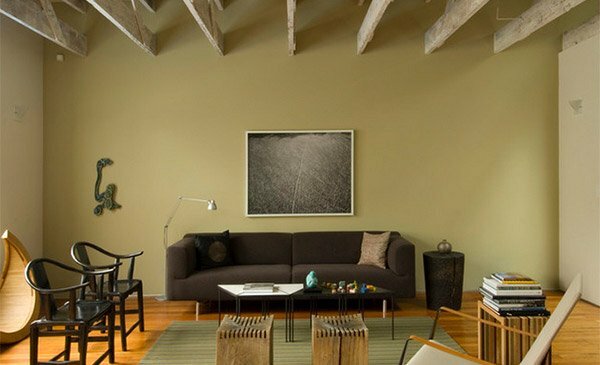 Just a simple living area with warm muted colors in it. You can notice the thin beams on the ceiling which was merely added for design. You can notice the steel beams below the mezzanine. While others might think it distract the eyes, it can actually add depth to the home’s interior. An eclectic space that has a subtle touch of beam exposure. You can see only one in this picture but it does have a big impact to the room’s look. Wood is everywhere in this house and it looked beautiful in white especially that it is paired with laminated wooden flooring. 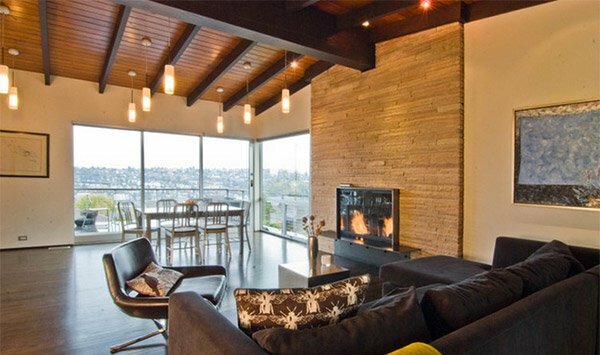 A contemporary living area was given a strong appeal with the addition of wooden beams on the ceiling. 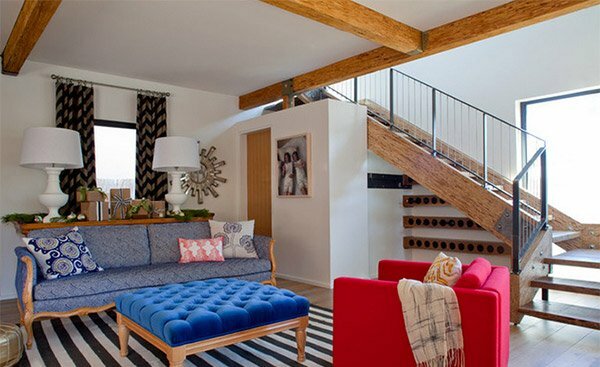 This eclectic space sure is lovely especially with the combination of colors in it and the subtle beam exposure. Wooden beams were placed on the concrete ceiling to give it an exposed beam effect. 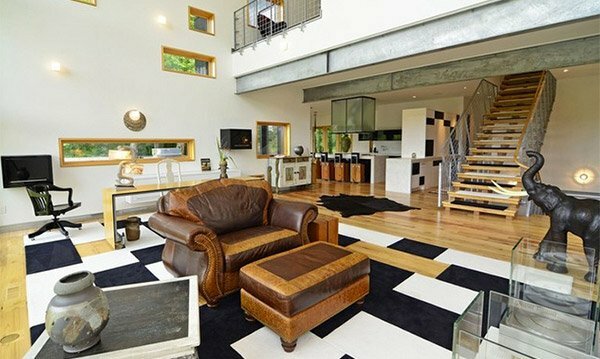 Steel was used for this home’s trusses and you could clearly see that for these were exposed to give it a distinct look. Concrete beams were left exposed for this living room giving it an industrial look especially with some electrical pipes and ducting which were also not concealed. Isn’t this living room lovely with all the whites around it? Even the beams were painted white! 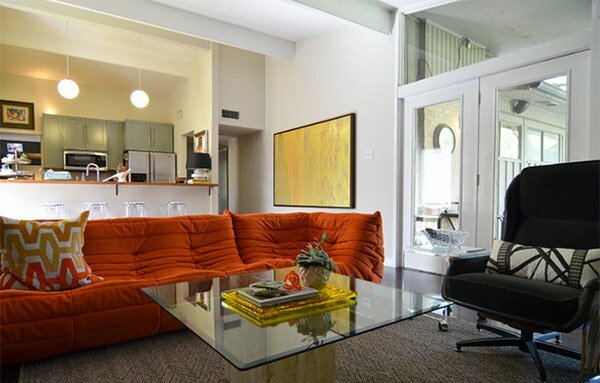 The orange sofa looked perfect in it. 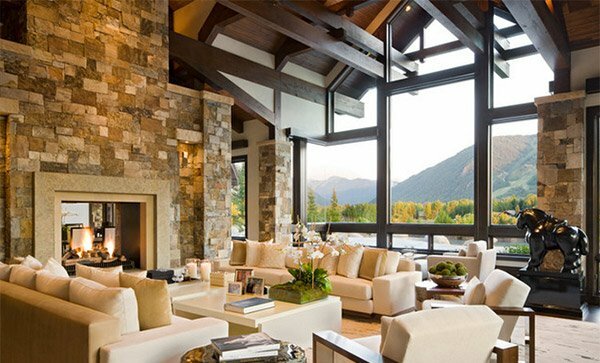 A massive stone fireplace with stones that matches those for the pillars and painted wooden beams for the ceiling made this home beautiful in a unique way. Unique isn’t it? You can also have this kind of look for your own home. It certainly adds a distinct touch to any interior. Wonder how it could look for the bedroom? Check out exposed roof beams in bedroom designs. You’ll be able to see some stunning bedrooms that could give you ideas and inspirations. More to come in Home Design Lover!